A French Jewish professor, Roger Dommergue speaks the truth about the period of Adolf Hitler, Nazi Germany and about Holocaust. This film was made by Holocaust Revisionist Ernst Zundel. We’re relentlessly told that we must “never forget” the “Six Million” victims of Hitler and the Nazis. But we hear far less about the vastly greater number of victims of Lenin and Stalin, and the grim legacy of Soviet Communism. Some 20 million people perished as victims of the Soviet regime, historians acknowledge. Jews played a decisive role in founding and promoting the egalitarian-universalist ideology of Marxism, in developing the Marxist political movement, and in brutally establishing Bolshevik rule in Russia. With the notable exception of Lenin, who was one-quarter Jewish, most of the leading Marxists who took control of Russia in 1917-20 were Jews, including Trotsky, Sverdlov, Zinoviev, Kamenev and Radek. The Bolshevik killing of Russia’s imperial family is symbolic of the tragic fate of Russia and, indeed, of the entire West. Coincidence that they were mostly Jewish? That’s what they’d like you to believe. If you do believe it, are you interested in buying the Brooklyn Bridge? I won’t charge too much. This has got to be the best documentary about the Holohoax that I have ever seen. It’s a long one – about four hours and 15 minutes, so make plenty of time or watch it in sections. They concentrate mainly on what really happened at the Operation Reinhard Camps: Treblinka, Belzec, and Sobibor, which adds up to about 2 million people, or one third of the Holocaust. This film shows logically, scientifically, and mathmatically how it is impossible that so many were killed there in so short a time. Surely some were killed but nowhere near what is claimed. They also catch several “witnesses” in bold faced lies. These lies have been proven to be lies. They use visuals like maps, models, and photographs quite extensively. It is extremely well documented and presented. Once those who still believe in the Holocaust see this film, they may not become revisionists, but they won’t be able to start doubting the official Holocaust lore that we are programed to accept as Gospel. The first few minutes SEEM like they are saying the Holocaust happened, but they are just going over the “official” story about what is CLAIMED that happened in the Operation Reinhard Camps before they begin to debunk the story. 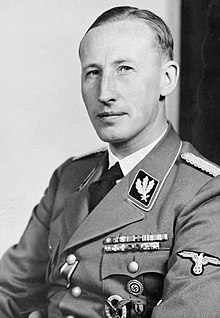 For those who don’t know, Operation Reinhard was named after Reinhard Heydrich, Chief of the Gestapo and SD under Heinrich Himmler. Heydrich was assasinated in Prague in 1942. People, this is a long one. If you don’t have time to watch it all now, come back when you do or watch it in smaller parts. This will give you the entire picture of how international banksters have literally come to own the world and what they have planned next for us. This documentary was made in the 1990’s. It predicted with chilling accuracy the real estate crash of 2008. The makers of this film knew it was coming – they just didn’t know exactly when, but you can bet the banksters did. If this doesn’t get you mad enough to get off your asses and take action (like becoming an ANP Official Supporter) then you are hopeless and are going to get exactly what you deserve: Financial slavery. This is a pretty decent video with some powerful facts about Hitler and the World War 2 era. Yes, there are some spelling and grammar errors, but don’t let that distract you from the important information. Zionist shills like Alex Jones will pretend that Hitler was in bed with the big bankers, but actually that couldn’t be any further from the truth. Israeli college students are being paid by their government and bribed with scholarships for positive posts about the Israeli government and to hit “Like” buttons on Facebook for post which is positive about Israel. Talk about nerve! This is a new kind of propaganda – digital propaganda. Just the thing for the 21st Century.